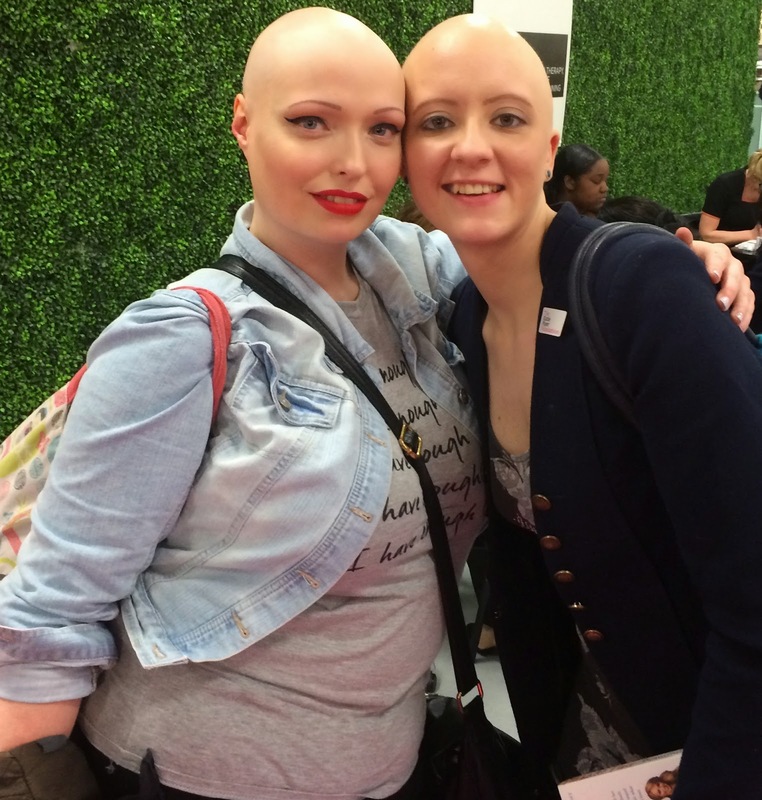 Alopecia UK circulated a message not that long ago, encouraging followers to enter a competition to win a chance to appear on the first Diversity Catwalk, being organised by Katie Piper. The competition asked entrants to upload, email or tweet a picture of themselves and their 'difference' telling the judges of the defining moment in their journey to Body Confidence; the winner would appear on stage at the Ideal Home Show, Olympia, alongside an inspirational group of women who all had their own point of 'difference'. AUK hoped that enough ladies from the #BaldHeadedBeauty community would enter to ensure that at least one of this group of gorgeous women would appear on stage, showing the world that Bald is Beautiful. When I saw the competition and read the info and inspiration behind it, I absolutely knew I wanted to be there (not on stage mind you, a front row seat would suffice). I wanted to see first hand what these 'differences' looked like and how Katie Piper planned to try and change an industry that is bought and sold upon the idea of perfection. Not long after, I received a tweet from one of our very lovely followers Brenda who had been hand picked to join the select group of individual beauties parading down the catwalk in a show entitled 'Confidence; the secret'. Coincidentally, Brenda hadn't been recruited for the show through the competition, but had in fact been one of the original cast; a coup for bald awareness, particularly Alopecians. Brenda kindly sent me two complimentary tickets and I bought along my biggest inspiration - my mum. We travelled to the show on Good Friday, and after a tortuous trip around the stands coveting a lot of things we didn't need, but loved (including a hydrotherapy pool, a hot tub and a fire pit), not to mention an expensive impulse buy I'll not doubt regret when the bank statement comes in, we nabbed ourselves two second row seats, right next to the stage. We were there early and a group of models / dancers took to the stage, showcasing a range of clothes from sponsors. Glamourous, co-ordinated and tall, everything you'd expect from a model, these ladies and gents grooved their way down the runway to a number of tracks, showing off everything from yellow macs to evening wear. Not what you would call bucking the trend, but engaging nonetheless. Next onto stage came the very gorgeous (and absolutely tiny) Katie Piper, more beautiful and frankly normal in real life than the pictures or TV cameras do her justice for. She's spunky, funny, intelligent and resolute and has a goal to engender and promote absolute Body Confidence in each and every person. She spoke, some about her own experiences, some about the experiences of others she's met, and most importantly about the fact that fashion and beauty can be very important in helping someone be the best, most confident version of themselves, ultimately providing a very exposed and very real platform to promote and gain acceptance for the unconventional or 'different'. She stepped back and onto stage strutted a feisty and confident bunch of women; I would challenge anyone to tell me how and why these women were anything other than beautiful. True; burn scarring, a missing limb, a wheelchair and no hair may not grace the front covers or inner pages of glossy magazines, but there is absolutely no way that any of these women could be considered anything other than stunning. Next, Katie talked about the human spirit and the fact that despite negative comments being oft heard by those struggling to come to terms with a condition, it is in fact the strength within ourselves that is important. She highlighted that each and every person has a 'human spirit' and that no matter what guise we believe that appears in, each and every one of us will have been touched by someone else in some way. A particularly poignant point was that none of us know just how strong we can be until we are tested and that ultimately, we are in charge of our own destinies. She then segued into the fact that each and every women on stage was concerned not with their 'difference' or 'disability', but with entirely unexpected areas or features of their body; back onto stage they strode, wearing oversize baggy white t-shirts, and on the back of each was their own area of concern. From a 'big tum' to 'thighs' and even the size of their hips, each and every one of these women had an area they'd like to improve. This too included Katie, who for the record would like to be taller than her 5'3'' so she can give heels a miss, and would also like a more round bum like 'Kim Kardashian'; she too was clear that actually there are things she would like to change, but that she won't love herself any less. One very interesting technique which Katie opts for but which I personally have never used, is positive affirmations; reminding yourself of the important things and ensuring that happy thoughts are interlinked with day to day life. She dropped a number into her motivational speeches, including one statement from her Doctor in the early days of her recovery; as she sat worried about never finding love, or being considered beautiful again, her doctor said to her 'Why worry; worrying about what hasn't happened yet is a waste of energy that gets you nowhere.' 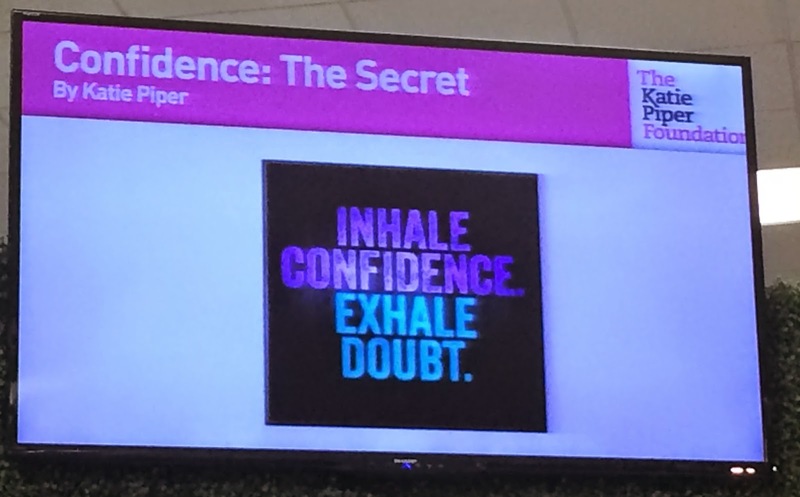 Katie was clear that this was a turning point for her, and regularly using affirmations like 'I am bigger than my problem', 'Inhale Confidence, Exhale Doubt' and 'The happiness of your life depends on the quality of your thoughts' have all served to have a positive impact on her life. Speaking to Katie after the show*, I realised just what a philanthropic person she truly is, but also how draining it can be to put yourself in the spotlight and say 'This is Me'. Talking of her work, she was clear about the importance of dividing her time between being a mum, working and looking after the Charity. 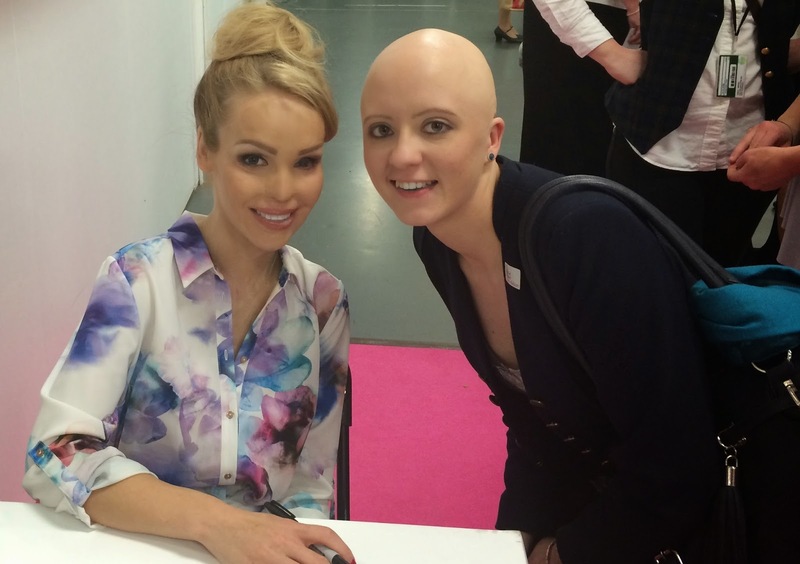 The Katie Piper Foundation', at the same time, highlighting her understandable drive to support burns victims. Despite that, she said that the show, which had showcased a whole range of different conditions, had underpinned a realisation that their differences don't need to be the same for people to inspire other people; it is the journey each individual takes and the strength that they show that can provide inspiration to others on the same or different journeys. Katie's ultimate goal is to provide a platform to deliver awareness, show difference and help people to understand and embrace it. Kudos to her! Here's a few pictures from the event and over the next week or so, there will be a follow-up interview with Brenda talking about her personal experiences of the show, once she's come down off Cloud 9 of course! Swimsuits - well done girls! One final point is to say well done to each and every one of the ladies!